In this edition of PrescienceAdvantage® Tips and Tricks, we’ve invited our friends from BASIS Planning to share with you their new knowledge-driven planning tool, BASIS, designed to help build more accurate plans, faster. 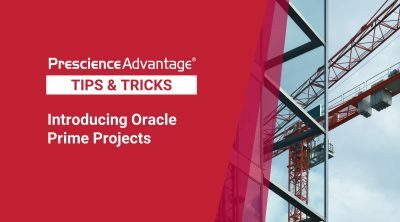 This topic will be a two part series introducing this revolutionary software to our readers and the benefits of using it in conjunction with Oracle Primavera P6. Whether you are creating from scratch or simply validating existing plans, BASIS drives plan realism. Incorporate suggestions from the BASIS Knowledge Library, obtain buy-in through team member consensus, and calibrate against your organisation’s benchmarks. This month, we will discuss how BASIS uses a mixture of Artificial and Human Intelligence to assist in creating achievable, accurate plans and its key features. 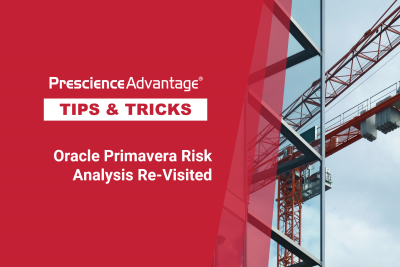 Note: This software is compatible with Primavera P6 R7.x onwards. BASIS is designed to eliminate inefficient re-planning and to avoid starting from scratch each time you build a CPM schedule. Your plans are automatically calibrated as you build them through the BASIS Artificial Intelligence (AI) engine. AI enables BASIS to make more informed suggestions while continuing to learn from your organisation the more you use it. BASIS further validates the plans being built with the knowledge of your team, Human Intelligence (HI). The purpose of Sketch is to breakdown your project scope into a high level timeline. Align your Sketch with standards and benchmarks, or utilise BASIS suggestions and build your timeline from the Knowledge Library. Take your Sketch and build out your plan into a CPM schedule. Use the BASIS suggestions to breakdown your scope into detailed activities, utilising the experiences and standards from your BASIS Knowledge Library. Once complete, invite team members to review and contribute to the plan and watch as plan consensus builds. Accelerate and improve accuracy by leveraging BASIS suggestions.